ّI haven’t really thought about this before, but it just occurred to me that some readers might not enjoy my blog, on the account of me posting almost exclusively in English. 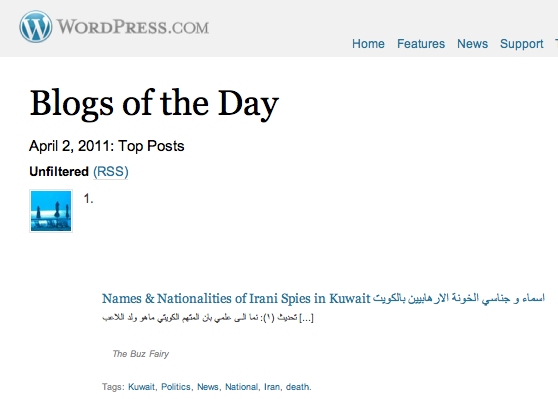 It got me to think if some readers also preferred that I post in Arabic too. Thank you so much Dream GirlX for the lovely shout out. I was very happy withe my worldwide #1 post yesterday, so thank you so much for sharing my happiness. I just spent the last hour fixing a new playlist for Chale tomorrow. I’m in the mood of jamming and bamming, winding up a sandstorm on the beach. I only have one little problem, I can’t get this song out of my head. I can’t help it, my shoulders do a little uncontrollable jolting whenever I hear it. Listen to it yourselves, and tell me if you vibrate too. Bumpy ride by Mohombi, raise your glass by P!nk, take it off by Ke$ha, a couple of Rihannas (love the way you lie and what’s my name), omg by Usher, a couple of Katy Perrys (fireworks and cali girlz), the time by Black eyed Peas, ridin’ solo by Jason Durelo, and I like it by Iglesias. There are a few more, but I didn’t want to bore you.